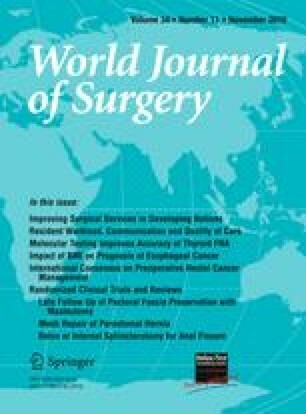 The aim of this study was to evaluate the accuracy of [18F]-fluoro-2-deoxy-d-glucose-positron emission tomography/computed tomography, ultrasonography, and enhanced computed tomography alone in the preoperative diagnosis of lymph node metastasis in patients with papillary thyroid carcinoma. In a prospective study performed between January 2007 and December 2009, 74 patients with a diagnosis of papillary thyroid carcinoma confirmed by fine-needle aspiration biopsy were referred to our institution for surgery. Preoperative assessment of metastasis in the central and lateral cervical lymph nodes was done using [18F]-fluoro-2-deoxy-d-glucose-positron emission tomography/computed tomography, ultrasonography, and enhanced computed tomography. The results for each level of cervical node assessed using these methods were correlated with the pathology reports after surgery. We determined the sensitivity, specificity, positive and negative predictive values, and diagnostic accuracy of the three methods for all levels of cervical lymph node. There were no significant differences in the diagnostic results obtained by [18F]-fluoro-2-deoxy-d-glucose-positron emission tomography/computed tomography and enhanced computed tomography. However, ultrasonography images gave significantly better results than either [18F]-fluoro-2-deoxy-d-glucose-positron emission tomography/computed tomography or enhanced computed tomography alone in identifying metastases on the basis of the level of cervical lymph node. In addition, the overall diagnostic accuracy tended to be higher for the lateral compartment than for the central compartment. Preoperative assessment by ultrasonography of metastases in the central and lateral cervical lymph nodes might be the best methodology for determining the extent of surgical resection required to remove metastatic lymph nodes adequately in patients with papillary thyroid carcinoma.